Following my recent post in this blog about this outfit, I tore this press advert from The Observer last weekend. This “Charity” (sorry “organisation” according to the ad copy) is nakedly being used to sell the product. And take a look at the relative sizes of the logos! My previous uneasiness about this is compounded. 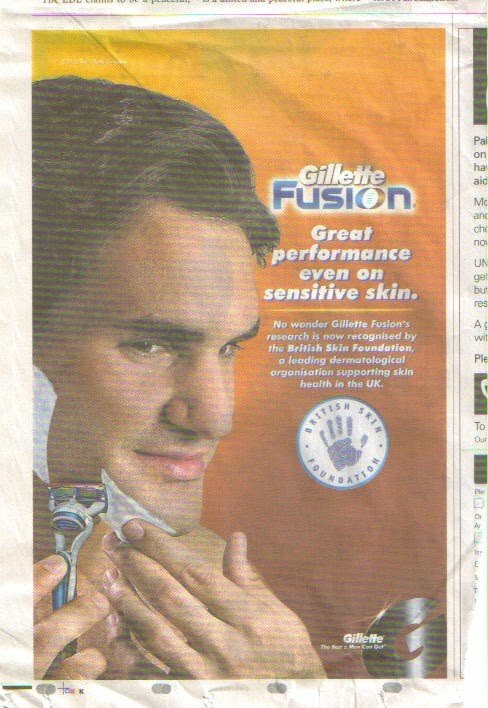 This entry was posted in Uncategorized and tagged Gillette Fusion, The British Skin Foundation. Bookmark the permalink.